The average American consumes about 3.5 ounces of seafood per week, reports the National Oceanic and Atmospheric Administration. This is only 50 percent of the amount of fish the American Heart Association recommends healthy adults should eat weekly to lower the risk of heart disease and high blood cholesterol. Salmon is one of the best fish you can include in your diet: It's versatile, rich in omega-3 fatty acids and low in contaminants such as mercury. 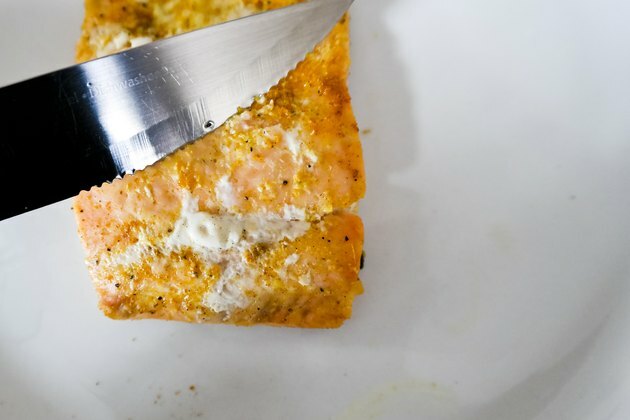 A simple way to increase your intake of salmon on busy days is to cook a whole fillet, divide it into serving-sized portions and freeze it to use later in the week. 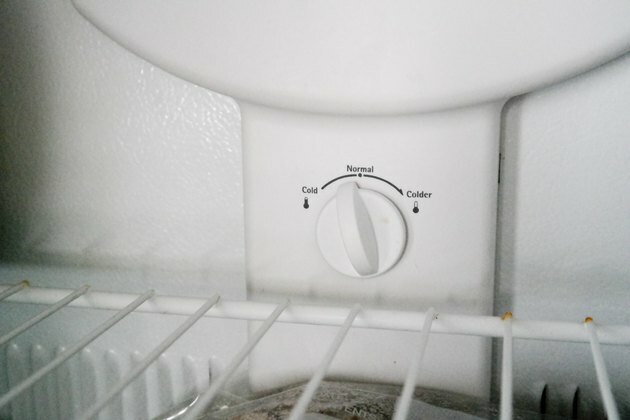 Confirm that your freezer is set at 0 degrees Fahrenheit. Cook the salmon using a low-fat method such as baking, grilling or poaching. Allow the salmon to cool for up to two hours. 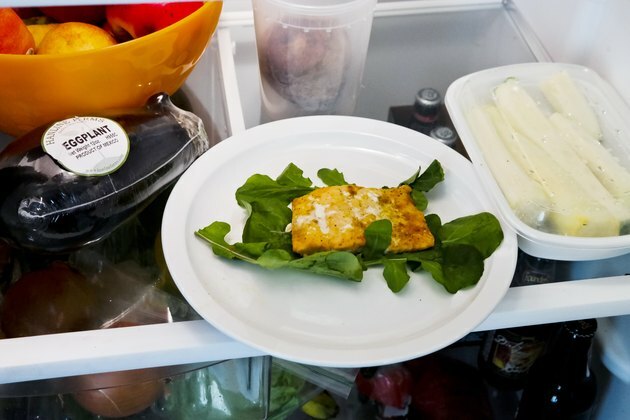 Divide the salmon into 3.5-ounce portion sizes. 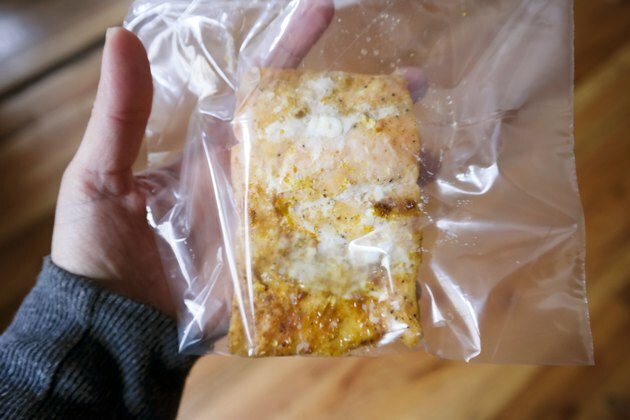 Place the salmon portions into freezer-friendly zip-top plastic bags or airtight plastic containers. Use a pen or marker to label the bag or container with the contents and date frozen. Cooked salmon can be frozen for four to six months, says the U.S. Food and Drug Administration. 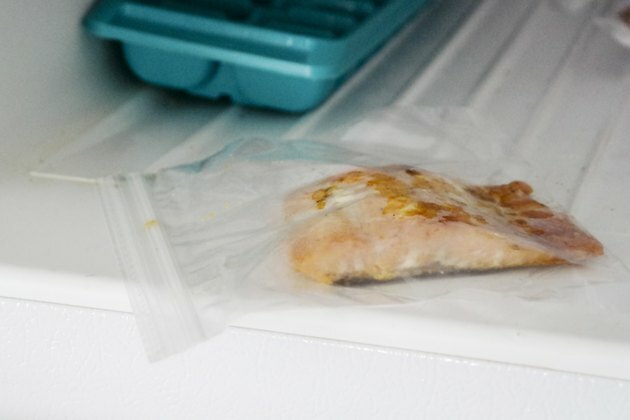 Thaw cooked salmon in its freezer container in the refrigerator or immersed in cold water. Use cooked, thawed salmon in salads or as a substitution for canned salmon in casseroles or pasta dishes. Pregnant or nursing women, women who are planning to become pregnant and young children should have no more than 12 ounces of low-mercury fish such as salmon per week. Avoid eating salmon caught in local areas until you've spoken to local fishing advisories about the contamination levels of local fish. Whenever possible, choose salmon farmed in the United States or wild-caught in Alaska over salmon farmed in other areas of the world, which may not be caught in an environmentally friendly manner, the Monterey Bay Aquarium's Seafood Watch advises.